Waiting in line is not fun. Not at the grocery store, not at the airport, not at the bus stop, and not at the doctor's. And yet, we all do it, time and again, wasting precious moments of our lives to poor organization. Technology helps: When I recently spent an hour waiting for a routine blood test, I was the only one reading a magazine. Everybody else was fidgeting with an electronic gadget. If only the clinic in question was as technophile as its clients - there must be a smarter way to manage queues. Or is there? "The line is part of the fun" stipulated none other than Walt Disney, when he set about building his first theme park. He realized that people wouldn't feel the joy of his "happiest place on Earth" if they spent most of their day standing in dull lines, waiting. So his engineers and designers set out to incorporate the zig-zagging line-up areas before any ride into the attraction's theme. Over the years, these pre-ride zones have gotten more and more sophisticated, setting the stage with sounds, sights, videos, props and sometimes even animated characters. But even basics keep prospective riders entertained: I remember a visit many years ago to the Matterhorn Bobsleds at Disneyland, where the inevitable Swiss theme materialized itself in a cantonal coat of arms being affixed to each pillar of the faux-wood roof covering the waiting area. Unfortunately, Switzerland has only 26 cantons, but the roof had more pillars. So the Disney gang simply continued adding made-up coats of arms to the extra pillars. We laughed so hard that we barely noticed the hour or so spent waiting in line. Sadly, Walt Disney is dead, and greedier managers have taken over running theme parks. These days. waiting in line is for poor schmucks. At most parks, "Quick Access" tickets allow the more free-spending to bypass queues, skipping right to the front of the line. The price for this privilege is variable: More on busy days, less on slow ones. There are even ticket machines placed outside major rides, letting you buy up from a regular admission once you see the daunting line-up. This of course means that managers now have different incentives than old Walt did. The less attractive and longer they make the wait, the more likely they are to rake in extra cash from Quick Access tickets. When I last visited a roller coaster park, I endured dull, cattle-like queueing, while giving the evil eye to those rich folks passing by in their dedicated lane - sometimes twice before I got on. This time, the roles were reversed, for yours truly took the bait and spent the dollars for Quick Access. 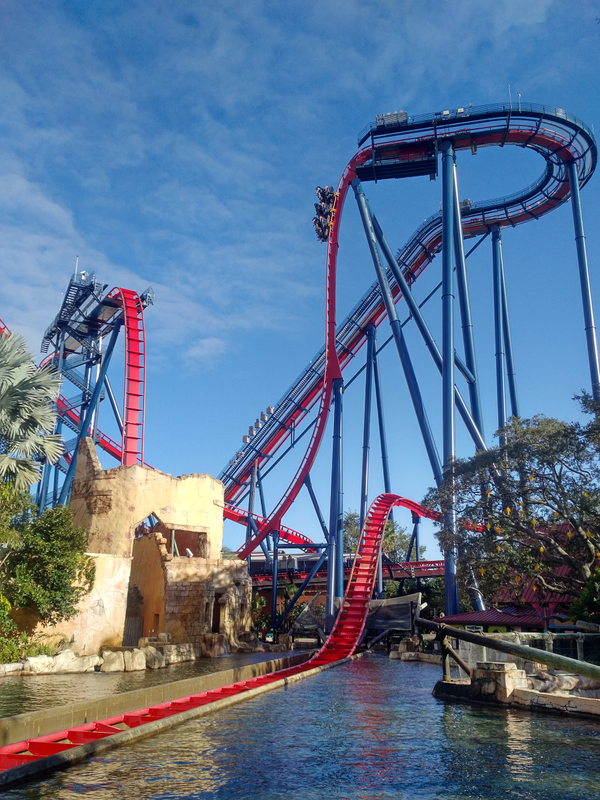 Sure enough, in a day at Bush Gardens, I got more stomach-turning thrills than ever before. Triple launch coaster, inverted coaster, dive coaster, sit-down coaster, I rode them all. First row, last row, hands in the air. And again. It was a lot of fun. But something wasn't quite right. It took me a while to put my finger on it, but I finally found the missing ingredient: Anticipation. 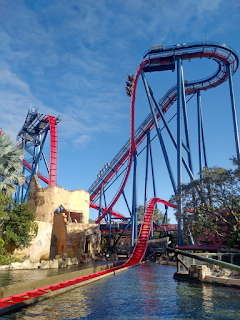 Not having to wait meant not watching the coaster go by time and again. Not hearing the people scream. Not visualizing every twist and turn. I just ran up the stairs, flashed my Quick Access barcode, and was on. And two minutes later, off again. There just wasn't the time to get anxious and excited, and then to have all that tension release as the train drops from the sky. Walt Disney was right all along. The wait is part of the fun. It makes you appreciate what you are about to get, and lets you savor it more intensely when it is finally here. So, dear readers, if you thought that the latest post to this blog was a long time coming... you are welcome.